Crosspoint Family Dental offers dental implants in our Lowell, MA office. A dental implant is a precision-made titanium post that is anchored into your jawbone. This post serves as the tooth root and a custom made crown will go on top of it. Dental implants are the most reliable and predictable form of restoration for missing teeth. During a consultation with one of the doctors at Crosspoint Family Dental, we will determine if a dental implant is right for you. Dental implants are used to replace a single missing tooth without grinding down or destroying neighboring teeth, to support a dental bridge for the replacement of multiple missing teeth and to anchor dentures to increase stability and reduce gum tissue irritation. Stronger, more durable and have a much higher success rate than traditional bridges and dentures. Look like your natural teeth. Proven to prevent bone loss and avoid further damage to your remaining natural teeth. The dental implant procedure takes place over two sittings. First a titanium post is inserted into the cavity left by your removed tooth. Three to six months after your implant is anchored in your jaw, a new, custom-made crown will be placed. 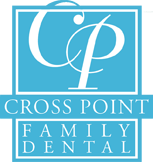 Crosspoint Family Dental looks forward to helping you achieve your smile goals. Dental implants have high success rates and one of our experienced doctors will help find the right course of treatment for you. Contact us for more information regarding dental implants in Lowell, MA at (978) 459-6467 or to schedule an appointment.